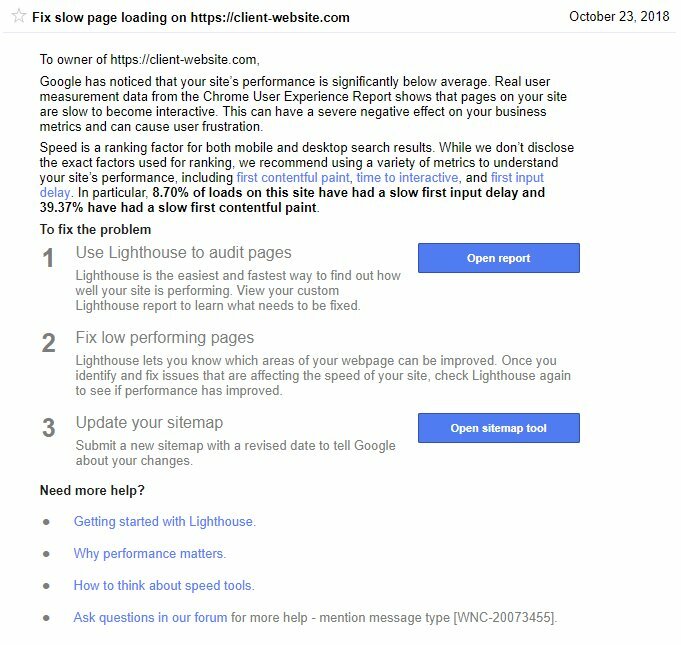 Google has recently rolled out a new policy in which site owners or managers who utilize Google Search Console will be notified if they have pages that are taking an excessive time to load. If you receive one of Google Search Console’s notices, we greatly encourage you and your team to investigate potential causes quickly. You don’t want all your hard work to be wasted due to slow load times and penalized rankings.